If you live in a part of the country that experiences intense winters, then you know it’s important to prepare your home for the cold months. Taking preventive steps reduces the possibility of winter damaging your home. These five tips for making your home winter ready will help get you started. Winterizing involves things like servicing the heating system, preventing ice dams, cleaning gutters, eliminating gaps around window frames and doors, and turning off outside faucets. Right now is the perfect time for making your home winter ready by following the steps in this article. Before winter arrives, contact a heating technician to inspect and service your heating system. It is money well spent to take care of this before winter comes so you don’t need to worry about your heating system giving out on a cold night. A technician will clean your system and check for carbon monoxide leaks. He or she will oil the unit’s running parts and change the air filter. If the ducts haven’t been cleaned in a while, they can also perform this service. Along with keeping your heating system running well, maintenance helps it operate more efficiently. If you noticed that your home had a lot of ice dams or icicles last year, this likely means that your attic is not airtight and needs more insulation. Ice dams can result in meltwater backing up and leaking into your home, causing damage to walls, ceilings, attic, and insulation. Making your home winter ready involves having a home inspector come out to assess your attic for air leaks and inadequate insulation. Resolving air leaks and adding the proper amount of insulation will prevent them. These measures will also save energy and reduce your utility bills year round. As the seasons change, a home’s gutters tend to accumulate debris like leaves, branches, and sludge. This situation can cause water to back up, resulting in damage to your home’s roof, siding, and foundation. Gutter cleaning is a task that you can tackle on your own or you can pay a professional do it for you. Keeping your gutters clean is another way to prevent ice dams. While cleaning your gutters, look for damaged or loose areas. Repair them as quickly as possible so they can do their job this winter. 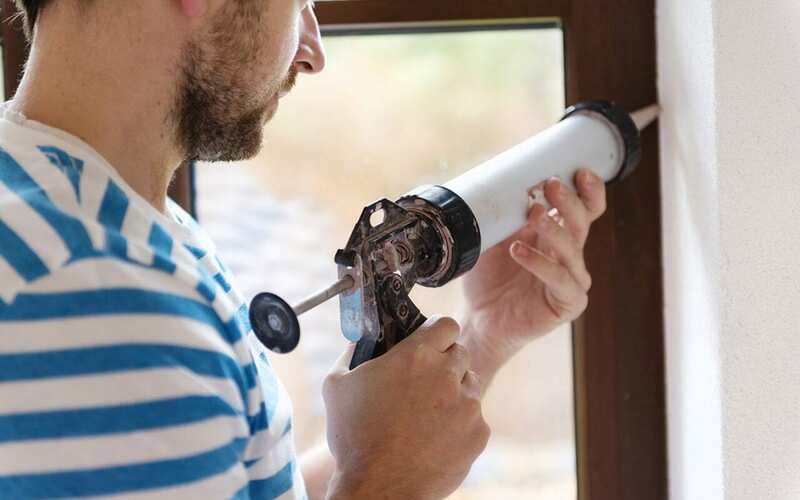 If you spot gaps between your home’s siding and the door or window frames measuring more than the width of a nickel, then add caulk around them. To be thorough, be sure to check the joints of your door and window frames. Silicone caulk is the best material because it doesn’t shrink and is able to withstand the elements. You may need to add weather stripping around your doors if you can see daylight through the edges when you’re inside. Closing up these gaps with caulk and weather stripping will help your home maintain it’s temperature. Turning off the exterior faucets is an easy way to make your home winter ready. If you leave undrained water in pipes, they can freeze, which results in pipes breaking as the ice expands. Disconnect all of your home’s exterior garden hoses. Then, drain the water that’s still present in the faucets. Turn the shutoff valve off until you need to use outdoor water again in the spring. Taking the time to protect your home prevents expensive repairs like broken pipes or damaged roofs. Benjamin Franklin said, “an ounce of prevention is worth a pound of cure,” which is certainly the case when it comes to making your home winter ready. Inspect it Neil serves New Jersey with home inspection services. Contact us to book an appointment.